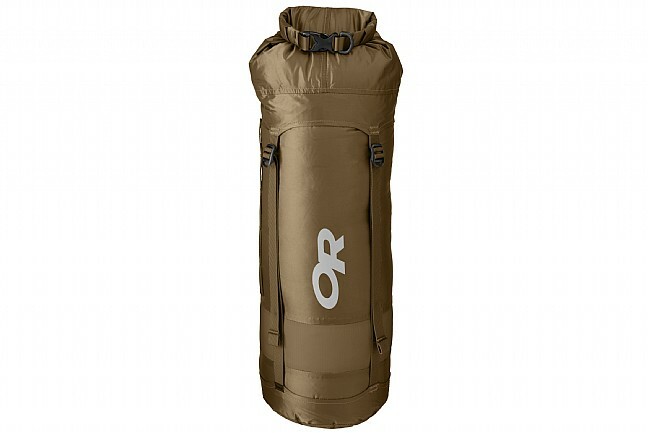 The Outdoor Research Airpurge Dry Compression Sack is a waterproof, air-permeable bag that packs down small. The 100% nylon construction is fully seam-taped to lock out water, yet features an air-permeable band that lets the air out of the sack during compression. Durable enough to stand up to seasons of use, the Airpurge Dry Sack is the perfect addition to a bikepacking kit.